Click Here for the latest Trader Joe's discussion. People in Salem are so desperate for a Trader Joe's franchise they are starting to "visualize"
it happening here. Well count me in as one of those dreamers of cheap wine and frozen meatballs. Every time I drive up Madrona where Ace Hardware is, I still ask myself, "what if that were a Trader Joes." The place that I look at now is the Albertson's across the street from the Saturn dealer on Commercial Street South. I think that would really revitalize that shopping center and help the nearby storefronts that are becoming more vacant. I would spend at least $100 a week there and I know many others who would do the same. The latest rumor is Trader Joe's is looking at a development on Kuebler and Battlecreek across from the Morningside Church. This would give them freeway access and a new building. Although I think it's not the best place for another strip mall it's better than it moving into Keizer. Another possibility is the Boise Cascade property south of downtown. That would work except it would be several years into the future. So everyone... see yourself pushing a red plastic grocery cart past a free coffee sample toward a gallon of organic milk. Janet Taylor is standing next to you holding a bottle of Three Buck Chuck. A man in a Hawaiian shirt is ringing a bell and you are going to make it home before all your food defrosts. On Trader Joe's website they have a page where you can suggest a location for a new store. Take a minute and fill it out, any little bit helps. Here's the link. I was hopeful for several years about Trader Joe's moving to Salem. The rumors going around make it clear that I'm not alone. We had the opportunity to talk to someone in the know at the Lake Oswego TJ this Spring. He said that TJ is concentrating on areas with a higher average income and population density than Salem has - California and the east coast are two places he mentioned as examples. We're not even on a list in their 10 year plan. So sad!! I'm sure we can look forward to more Wally Marts and dollar stores, however . . . . It's like everything else, Salem is in the middle of Eugene and Portland, so we get left out. Just look at the tv stations, WE ARE THE CAPITOL of Oregon! We should have a local station here! Salem as always is overlooked. Salem has had several local stations through the years. But since the "big 3" networks were either in Portland or Eugene, what advantage did they have? Anyone else remember PBS on Channel 3 or KECH-22? With cable & satellite.... well, who cares anymore? No, I don't remember that. Probably before I lived here. When we lived in Roseburg, we used to get a big kick out of watching the local news segment. The commercials were the best part - "ooo aah, umpqua, umpqua ice cream". I'm pretty sure there was a little song that with it. Hells yeah! Not only to I remember KVDO 3 and RECH 22, I remember when 22 was KWVT (before it was the home shopping stuff) and had its own nifty local newscast. Its nice to see the current KWVT is still kicking it. Not only do I remember KVDO 3, I remember when that disgruntled fellow cut the guy wires on the antenna mast and toppled it, he was that upset at Channel 3 moving to Bend. Broadcast media in Salem has always had the deck stacked against it, no doubt about that. I, too, have been wishing and wishing for a TJs in the Salem area. The last I heard, around Halloween 2007, was that they decided not to enter Keizer Station because it would draw too much business from the Lake Oswego store. This was the news from my sister and brother in law, who both work with permits and zoning in Salem and Keizer. This could change, I guess, but that's the latest I heard. Meanwhile, here's a map I found. To nobody's surprise, there will be a Starbucks. We will also have a Popeye's Chicken. Several other stores/restaurants are still in the negotiation process. It's hard to imagine any mom and pop restaurant able to afford the rent, so I'd bet the restaurants still in negotiation will be chain establishments. It'll be interesting to see what pops up over there. The Keizer Station is gross.. exactly what I don't what to see around here. Trader Joes is okay. I would prefer a good grocery store like new seasons or whole foods. Then a big hole in the ground could open up and swallow up all the safeways, fred meyers, albertsons and Life Source. Terrible grocery stores. 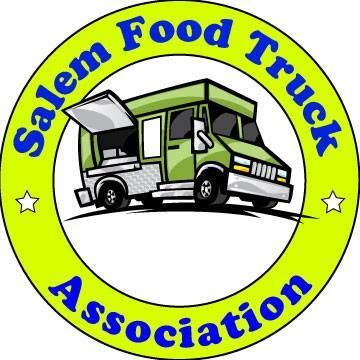 Alas, we are too spread out and income levels are nowhere near what it would take to get a good grocer in Salem. We are stuck with giant convenience stores. At least we have some good restaurants! Unfortunately, I think the Salem/Keizer area is doomed to suffer through endless discount type restaurants and food stores because our city population is so "thrifty". We have a few very well to do residents, but most are not and do not give up their hard earned dollars without a fight. How Nordstrom survives here, I'll never figure out. Rumour has it that Trader Joe's will be coming to the Keizer Station once they change their sign. Apperently Trader Joe's doesn't like it and won't sign the lease until they do. I've heard the "real" reason that Trader Joe's won't come to Salem is that Roth's won't allow it. The rumor is that Roth's strong-arms the Salem and Keizer city councils, and the real estate owners. What's wrong with Life Source? I agree, what is wrong with Life Source? Between Roth's and Life Source you can get just about everything you can get at either New Seasons or Whole Foods, and you're supporting local businesses. I know this from recent trips to these Portland stores. We realized it wasn't worth the gas it takes to make the trip. That is, unless you're already going to TJ's. Though, we are in desparate need of a TJ's! Even Eugene has one, c'mon! Income really isn't a factor. TJ's has excellent prices and let's face it, once you go in those doors no one ever comes out with just what they went in there for in the first place. The customer base is here and hungry!! What is wrong with Life Source? Hmmm...I have wanted to like this place for 15 years. - Great that product is organic or was made by free range/fair trade farmers, but does it taste good? I have bought an endless line of tasteless products there. - Just because the fruit is organic, doesn't mean it has to taste bad. I pay a premium there for fruits and veggies and it is quite frequently disappointing. The apples are always mealy and mushy. The oranges are rarely sweet. - There are some good employees there, but quite a few not so good, psuedo-hippie-rightgeous folk. Save the attitude for the country fair dude. I will admit that the salad/dinner bar is very good. I have such high hopes for a local grocer, and will happily pay a premium if it is good. For now, I mostly go to Roth's. The produce section is very good. They are still a local company and pay a living wage and benefits to their employees. Sorry for the rant. Life Source COULD be so much better. I really want to support local small businesses, but only if they are perform. I wish Life Source could absorb the space next door. I think if they had more room, they could offer better variety, bring more people in and then maybe everything else would take care of itself. As for TJs, if they ever do add us to their schedule, I wish it could be the old, empty Thriftway by Withnell Hyundai. Although, a traffic light would probably be a necessity if they did. so the tumors are abound again. today i heard that TJ's is coming for sure and will be here in January. we'll see. I'm soon to move to Salem, while continuing to work in Beaverton. Sad to hear that there isn't a TJs in town, but at least I can drive by one on my way to the freeway. Keep on visualizing TJs frozen peas ... I will join you. BTW ... I used to go to high school with a Janet Taylor, way back in the 60s. Couldnt' be the same one, now could it??? I received this e-mail and i'm posting it here. Please pass on to anyone you think shops as Trader Joes. I spoke with a member of Keizer City Council last night and she said that they are lobbying to get a Trader Joe's at Keizer Station. This will probably not happen unless we start sending them emails requesting it as a new location. So, I'm trying to get the ball rolling. If you want a Trader Joe's in town, please go to the link below and put in your request. Also, please send this to as many people as you know who would shop there. TH is coming to Salem. The old Albertsons on commercial.